The first casualty of war is truth, and the war on drugs is no different. This book is a step to counter this destructive situation. 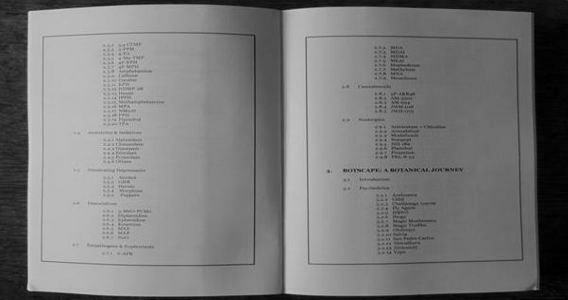 157 chemicals and botanicals were self-administered by the author, and were then meticulously documented. 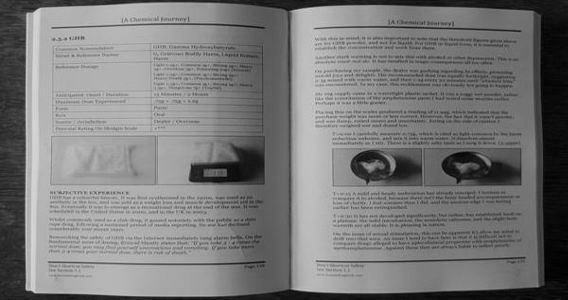 It contains essential drug-specific data, and live reports describing what the experience was actually like at each stage. Inclusive of legal briefings, relative harm tables, detailed reference material, addiction and overdose advice, and even a drug dictionary. It provides safety procedures, harm reduction techniques, personal safety routines and basic ‘how to’ guides. 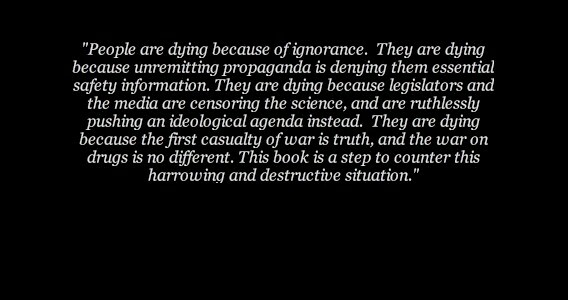 They are dying because of ignorance: because unremitting propaganda is denying them essential safety information. 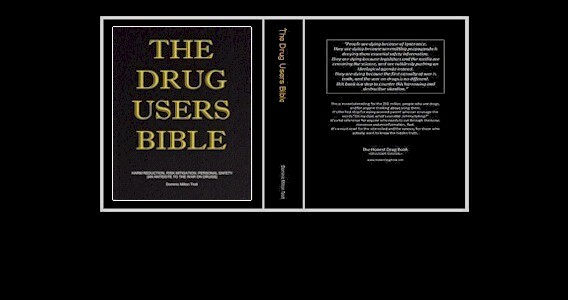 The Drug Users Bible presents the hidden truth about a topic which touches the lives of almost everyone. Cutting through the noise and misinformation of the war on drugs, it documents the facts about the individual drugs and the subject in general. The author self-administered over 150 different chemicals and botanicals. For each of these he documented the vital safety data, inclusive of dose thresholds, onset times and duration. In addition, he recorded a trip report: a subjective analysis of his qualitative experience, usually at different time-checks. This in itself provides a yet another tranche of harm reduction information, enabling assessment of loss of judgement and capability. This is a substantial work, spanning some 514 pages, embracing both the infamous and the obscure. Amongst the most well known drugs are LSD, xanax, DMT, cocaine, GHB, spice, phenibut, speed, magic mushrooms, cannabis and opium. Lesser known drugs include: hexen, NM2AI, l-theanine, sinicuichi, marihuanilla, entada rheedii, thiopropamine and sakae naa. The complete Table of Contents can be viewed on this page. In addition to the canopy of different chemicals and plants, the first section presents a raft of general safety information, including the frequently cited 10 Commandments Of Safer Drug Use. Detailed introductions are also provided on issues like drug testing and drug classification. The final section covers drugs and drug use in wider society. It provides relative harm tables, legal briefings, overdose and addiction information, a drug tourism guide, and even a drug dictionary. 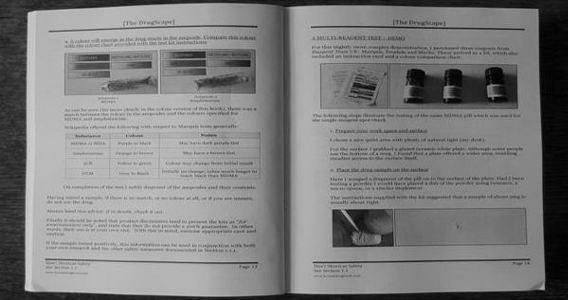 The Drug Users Bible provides the science, the factual data, and the real world experiences which are censored or ignored by the perpetrators of the war on drugs. 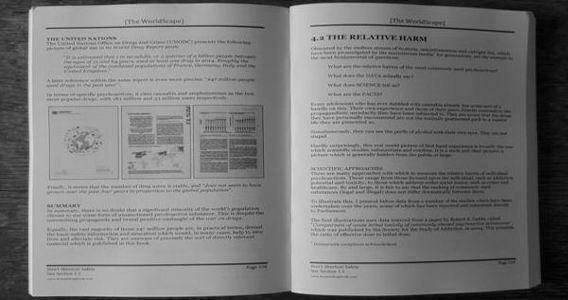 It catalogues the vital harm reduction material which is buried by the mainstream. It presents the risk mitigation information which will directly save lives. "This is essential reading for the 250 million people who use drugs, and for anyone thinking about using them. It’s the first stop for every worried parent who can envisage the words “Oh my God, what’s our little Johnny taking?” It’s vital reference for anyone who needs to cut through the noise, nonsense and misinformation, fast. It’s a must-read for the interested and the curious; for those who actually want to know the hidden truth." NOTE: The first version of this book was titled The Honest Drug Book. Given its success and its positive reception amongst drug users, it was extended in both content and scope to become The Drug Users Bible. The specific additions, including 17 newly tested drugs, are listed on this page.